Hour of power ElectricKiwi.co.nz - Smaller. Smarter. It's simple really, you choose 60 minutes of off-peak power that suits your lifestyle. All electricity used during that hour is free each day! When is my power off-peak? The off-peak time slots are between 9am-5pm and 9pm-7am every day. Use an Hour of Power for free between these off-peak times. You can update your Hour of Power at any time. Your free timeslot will remain the same until you decide to choose a new one. Any change before midnight will be active for that day. Set and forget to save every day! Simply start your machine in your Hour of Power and the clean clothes are on us. It’s easy, just set a timer or turn on the Dishwasher in your daily Hour of Power. 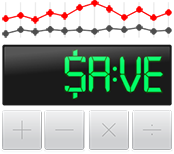 Set a reminder for your daily Hour of Power to help you save even more. Dry your clothes and bedding for free. Take a shower 5 mins before your Hour of Power and let us heat up your hot water for you. Sunday roast anyone? May as well as it's on us but not just for Sundays! Your very own home charging station, best part is it’s on us! With a few small tweaks to what you do throughout the day you can start saving. Easy aye! Run your washing machine and dishwasher during your free Hour of Power five times a week. Run your washing machine and dishwasher during your free Hour of Power every day of the week. Run your washing machine and dishwasher during your free Hour of Power every day of the week, and take a shower during that hour. See what our customers are saving. + There must be a catch - is the Hour of Power actually Free? + What is the Hour of Power? + How long will the Hour of Power last for?